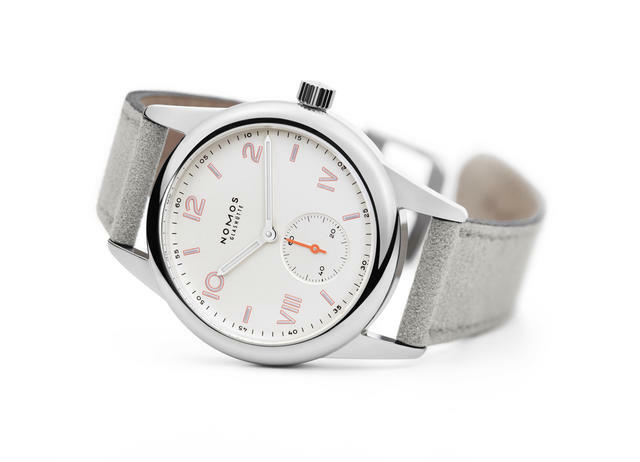 Ostensibly for graduates, the NOMOS Club Campus and Club 38 Campus watch collections will undoubtedly attract enthusiasts with any degree of education in watch appreciation. NOMOS in 2017 adds two steel-cased models to its existing entry-level Club collection. 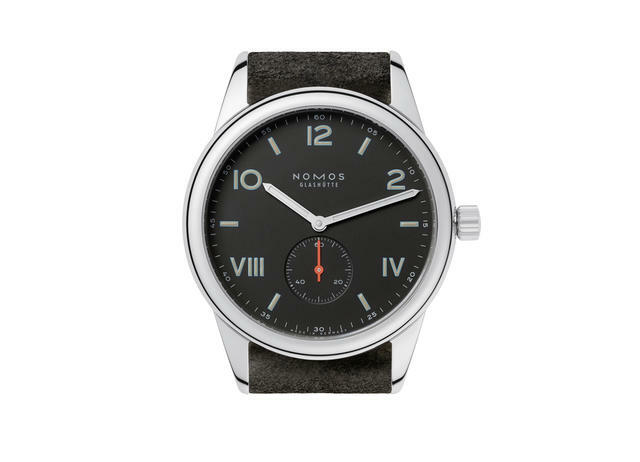 Where previous Club offerings editions featured either manual or automatic movements, this new edition exclusively features the NOMOS caliber (a)Alpha, the firm’s first in-house movement originally made in 2005. And unlike earlier Club models, the dials on the new Club Campus collections combine Roman and Arabic numerals, all of which newly glow brightly in the dark with a generous coating of SuperLuminova. One of the 2017 models, called Club Campus, features white-dialed watches measuring 36mm in diameter. The other, Club 38 Campus, offers 38mm cases and a choice of a white dial or a darker ruthenium-shade dial (on the Nacht (night) model). 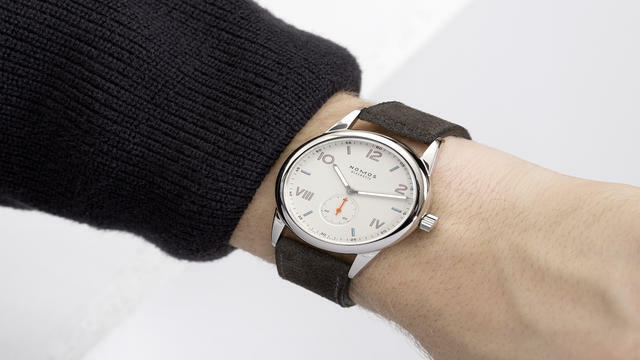 NOMOS considers the larger Club 38 Campus collection the more ‘masculine’ of the new iterations, in part due to its size, but also because the Nacht model offers a blue outline around the numerals, the darker dial and an anthracite-colored velour leather strap. 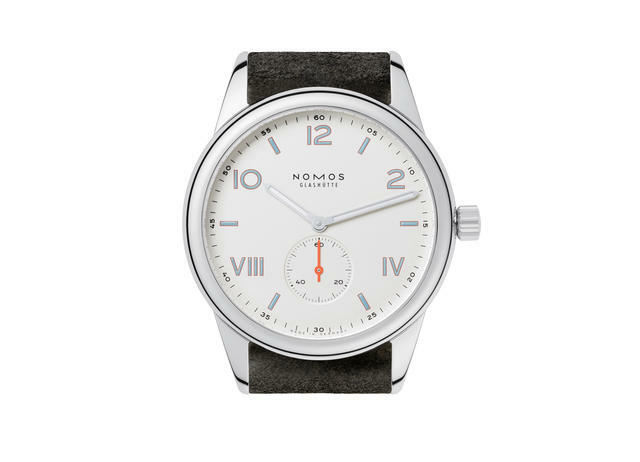 All three models feature the familiar curved NOMOS Club case with curved sapphire crystal and a stainless steel caseback. On the smaller model, Club Campus, you’ll find a white silver-plated dial with hour numerals and indexes glowing blue in the dark and a red outline around the numerals. The strap for this model is beige velour leather. Prices: $1,500 (Club Campus) and $1,650 (Club 38 Campus and Club 38 Campus Nacht).